Aretha Franklin: The 'Fresh Air' Interview The "Queen of Soul" spoke to Fresh Air's Terry Gross about life and music in 1999. 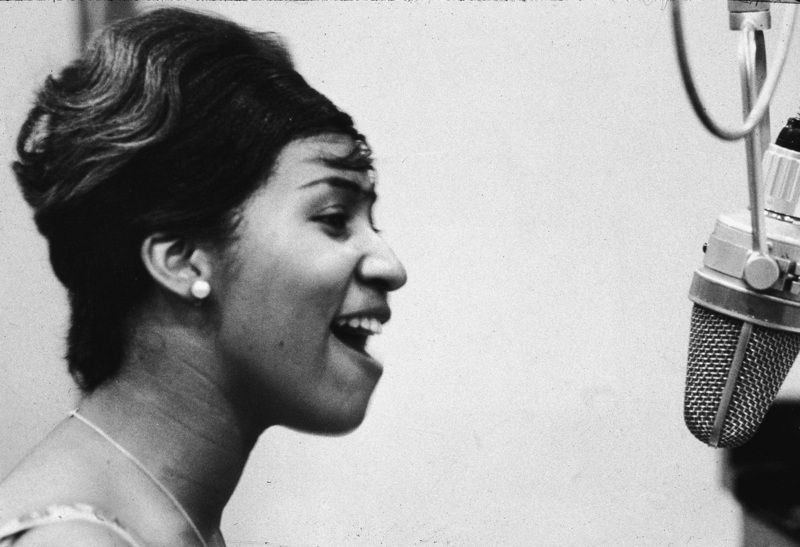 Aretha Franklin sings in the studio during during her early career at Columbia Records. Aretha Franklin is more than a woman, more than a diva and more than an entertainer. Aretha Franklin is an American institution. Franklin has received plenty of honors over her decades-spanning career — so much so that the chalice of accolades runneth over. She was the first woman inducted into the Rock & Roll Hall of Fame in 1987. She received the Presidential Medal of Freedom, the nation's highest civilian honor, in 2005. And Franklin sang "My Country, 'Tis Of Thee" at President Barack Obama's first inauguration. The Queen of Soul rarely gave interviews, so we were delighted when she sat down for a Fresh Air interview in 1999. Franklin spoke about her father's gospel influence, growing up with Sam Cooke, crossing over to pop music and more.